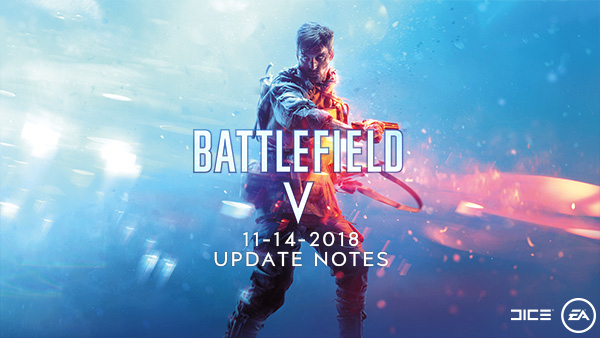 We're proud to announce that the Battlefield V 11-14-2018 update is now live! Below you will find the full update notes, how to enable DXR on PC, and a link to the new Battlefield V Update Notes archive on web where all update notes will be published going forward. If you have an Nvidia video card capable of utilizing their ray-tracing technology, today you'll be able to dive in for the first time with this amazing tech. First, you'll need to ensure you've installed the Battlefield V 11-14-2018 Update, and have the latest Nvidia drivers. Additionally, you'll need to make sure you've installed the latest Windows 10 Update - "Windows 10 October 2018 Update". If you have automatic updates turned on for Windows, you should have it installed. If you don't have automatic updates turned on, you can manually check for the update and download it here. Install the Windows 10 October 2018 Update (RS5) - Windows 10 will automatically download the October 2018 Update on your computer if you've turned on automatic updates in Windows Update settings. When the update is ready, you'll be asked to pick a time to install it. After it's installed, your computer will be running Windows 10, version 1809. If you want to install the update now, select Start Menu -> Settings -> Update & Security -> Windows Update, and then select Check for updates. If updates are available, install them. You will find all past and current Battlefield V updates archived here.